The immigrant mother in Phoenix granted leniency during the Obama administration was deported to Mexico Thursday in what activists said was an early example of how President Donald Trump plans to carry through on his vow to crack down on illegal immigration. Mexico is warning its citizens in the US to “take precautions” following the deportation of a Mexican woman who had lived in the US for more than 20 years. In a statement, the foreign ministry said the case of Guadalupe Garcia de Rayos illustrated “the new reality”. The mother-of-two was detained on Wednesday when she went for a routine check-in with immigration officials. President Donald Trump has promised to crack down on illegal immigrants with criminal records. Garcia de Rayos, 36, had pleaded guilty in 2009 to using forged documents to get a job and was issued with a deportation order in 2013. However, she was allowed to remain under President Barack Obama’s policy of leniency towards undocumented migrants who had entered the US as children. Garcia de Rayos’s children were born in the US and they remain there with her husband. 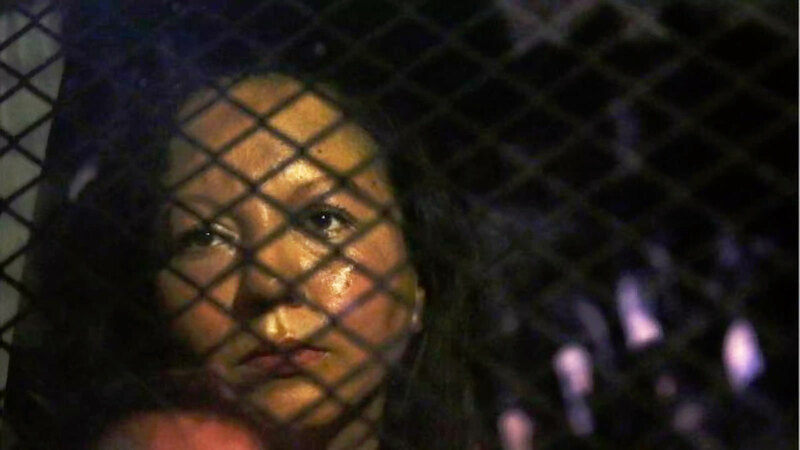 “The case of Mrs Garcia de Rayos illustrates the new reality for the Mexican community living in the United States, facing the most severe implementation of immigration control measures,” the foreign ministry said in its statement (in Spanish). The ministry said Mexico’s consulates in the US were “stepping up” their work to protect fellow nationals “anticipating more severe immigration measures to be implemented by the authorities”. It urged Mexicans to have an emergency plan in case they had to return home. Last November, Mexico published a list of measures aimed at helping citizens living in the US following the election of Mr Trump. Seven protesters were arrested late on Wednesday as they tried to block a vehicle taking Garcia de Rayos away from the immigration office in Phoenix, Arizona, where she was being held. Her lawyer, Ray Ybarra-Maldonado, said she was taken to Nogales in Mexico on Thursday morning by US immigration staff. Mr Ybarra-Maldonado had earlier told the New York Times that a “war on immigrants” had begun. Garcia de Rayos was detained a few days after President Trump signed an executive order broadening the regulations covering deportation. It stipulates that any undocumented immigrants convicted of a criminal offence get priority for deportation. An estimated 11 million immigrants were living in the US illegally as of 2014.